U will find it quite Good on its own – however, if u compare to Jaipur eateries, then this one falls flat on the face. When we went to this place sometime back, we quite liked it. We opted for a Rajasthani thali – a gatta curry that tasted very good but with hard gattas which might b compared to cadbury’s eclairs!!!!! 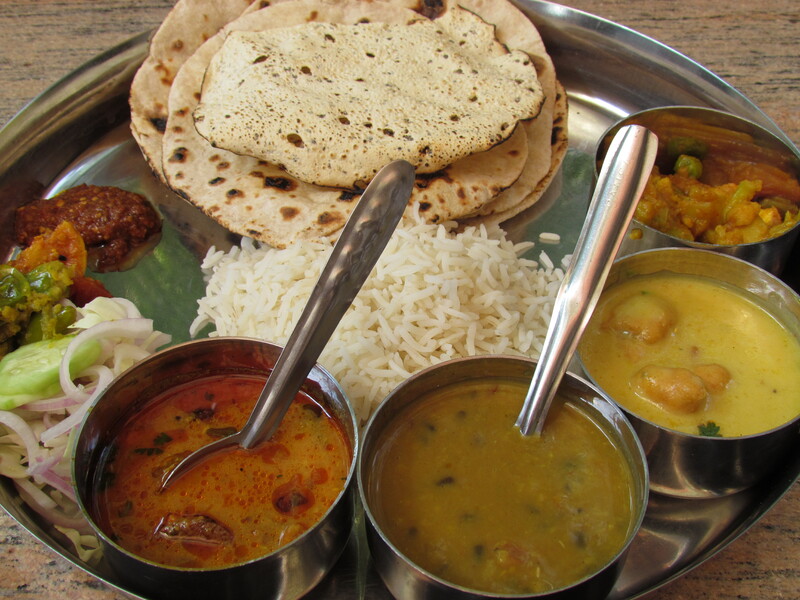 A kadhi – again very nice but with quite hard pakoras that wud make noise if they fall from ur hand. A daal that was mildly spicy & a very good flavor of its own – really enjoyable & a potato curry that was not bad at all but not wow either. I have had moong daal ka halwa on several occassions – had found it quite rustic, laden with ghee in the traditional manner & nice. 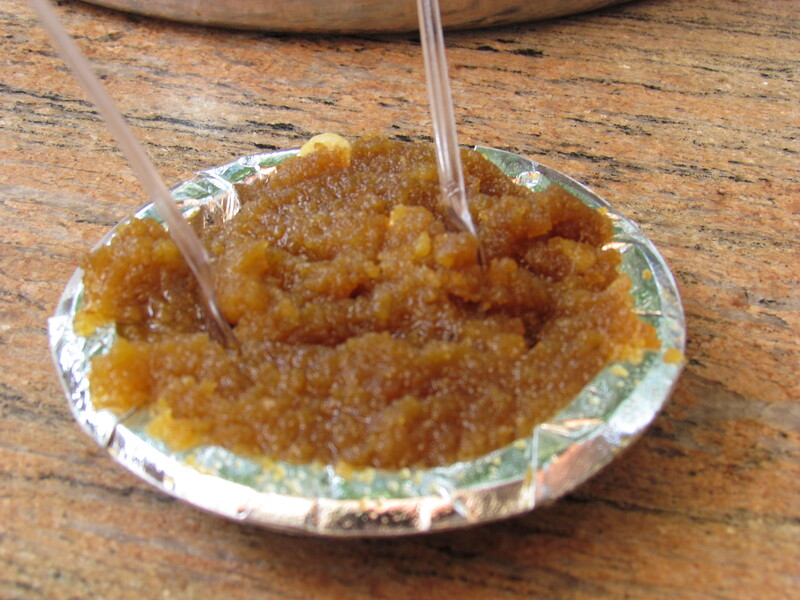 The halwa that we had on the day we had the thali was overburnt though & the smokiness was figuring in the taste & the flavor – not very good & not horrible either……….. well, willing to forget that accident (I guess) & retain the good halwa memories of this place. Gulabjamuns r not bad at all. They also serve a long list of chhats, golgappas & other such snacks. Quite good but they do not compare to the greatness of the ones in Chandni Chowk Delhi. We have had ala carte curries earlier & the daal figures out to be the best. Subzis r good, robust & nice but I wud not call them outstanding. Overall – We prefer this place at times when we r hungry & wanna fill the stomach with something that tastes good………….better than having overpriced veg burgers or Rs. 80 samosas at malls!!! !